Sheri had a blessed Thanksgiving. Daughters 1 and 2 played the guitar and sang for the "crowd". Every one was blessed. 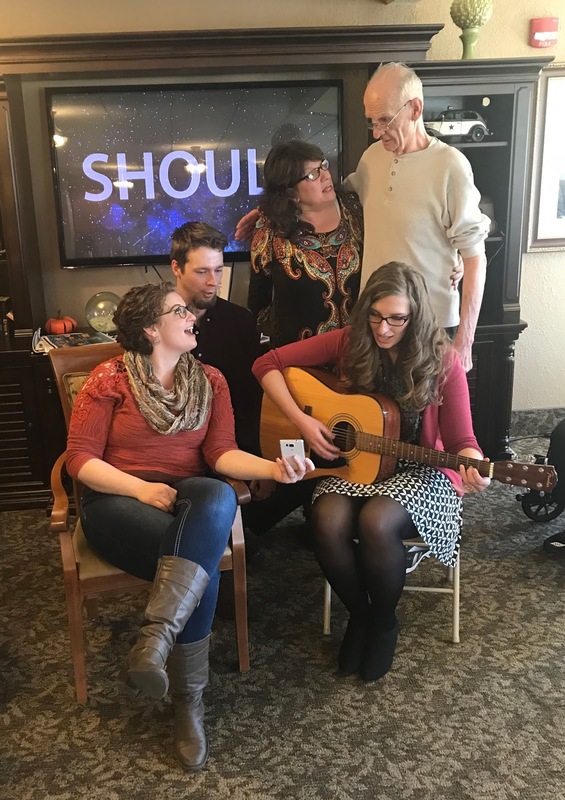 Sheri tried to have Bob join in for Bless this House the one they always sang last at the player piano. "Al" did his best. Simple pleasures Sheri, simple pleasures. Happy Thanksgiving, Sheri to you and your lovely family.